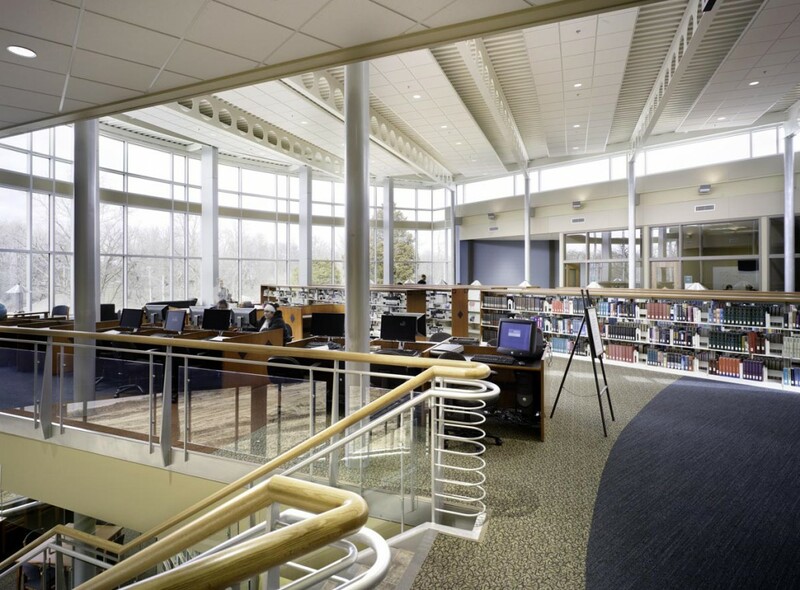 The Gary J. Lenox Library was transformed from a traditional book-focused library to a modern technological and service-based information center. It allows students and faculty to access thousands of books, journals, databases and on-line resources. 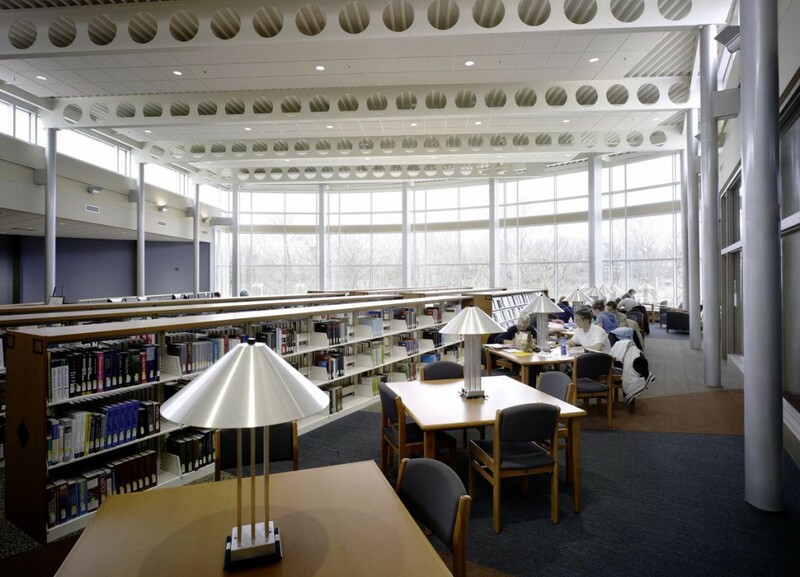 Features include compact shelving, group study rooms, computer lab, comfortable seating, beautiful views with plenty of computers and study tables. The design features a curved glass wall which maximizes day lighting as well as connects occupants to the outdoors. 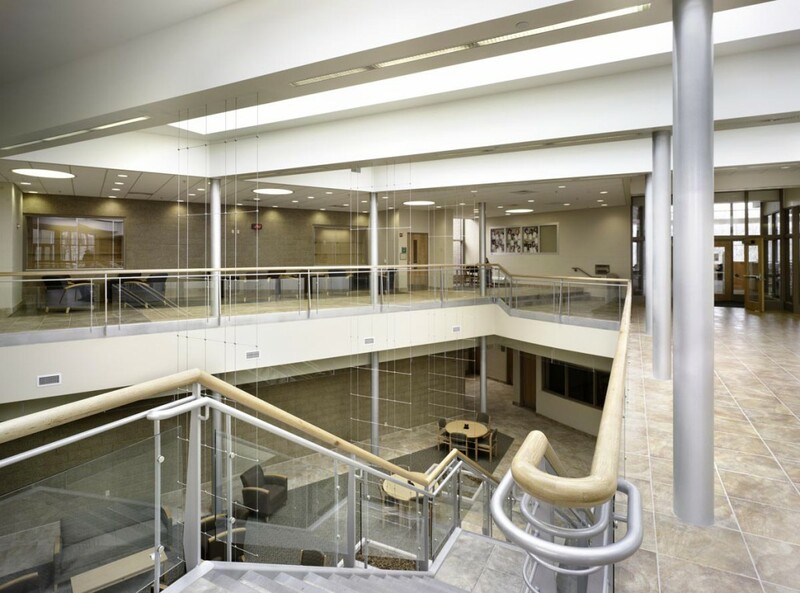 The two-story volume maximizes the use of the space, and creates a focal point on the edge of the campus. The new Gary Lenox Library is a place for research, reflection and communication.